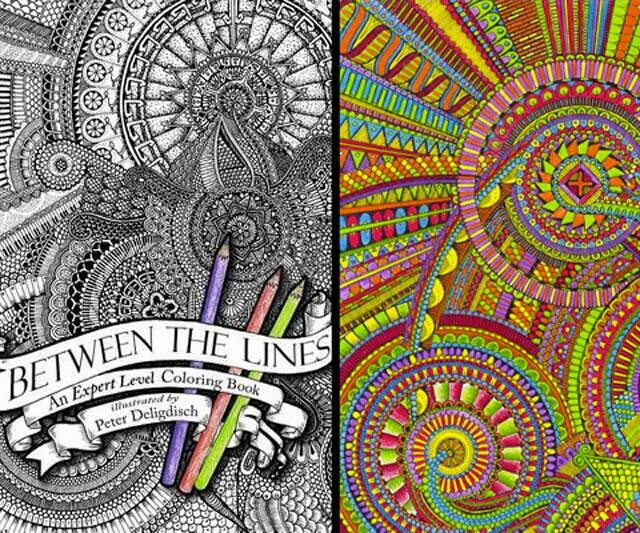 Why does Between the Lines: An Expert Level Coloring Book exist as a Kindle Edition? I mean, I don't really use much technology aside from my flip phone and Apple IIGS, but I feel like the appeal of a coloring book, particularly one deemed Expert Level, loses its effect in digital translation. 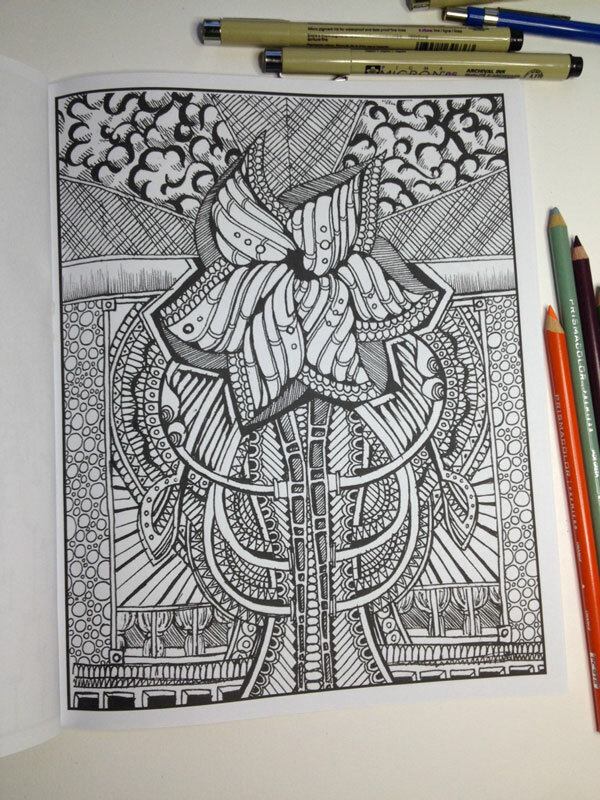 These intricate, ornate drawings need precise pen or crayon craftsmanship, not a Kindle Fire app. That said, I do appreciate Amazon's continuing quest to capitalize on all things in existence. 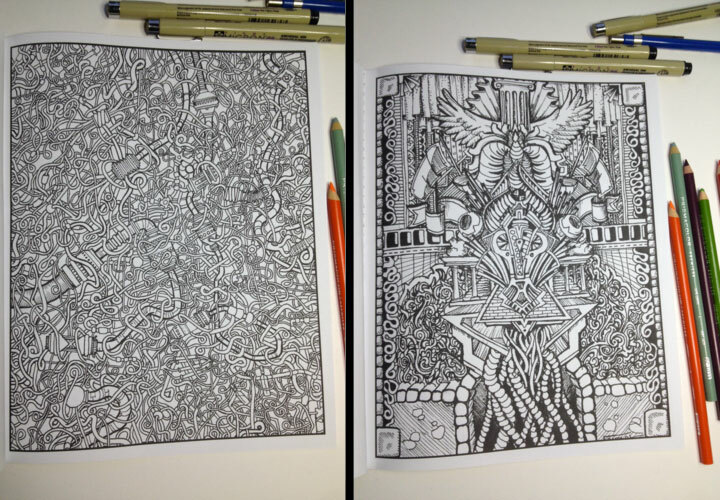 Self-described doodler (and maybe more appropriately described Grandmaster Ink Artist) Peter Deligdisch has turned 22 of his hand-drawn labyrinths of wonder into Between the Lines, a coloring book for those with the finest of fine motor skills. Or at least for those with an appreciation for exquisite shading and the maturity not to eat their Crayolas for a snack. 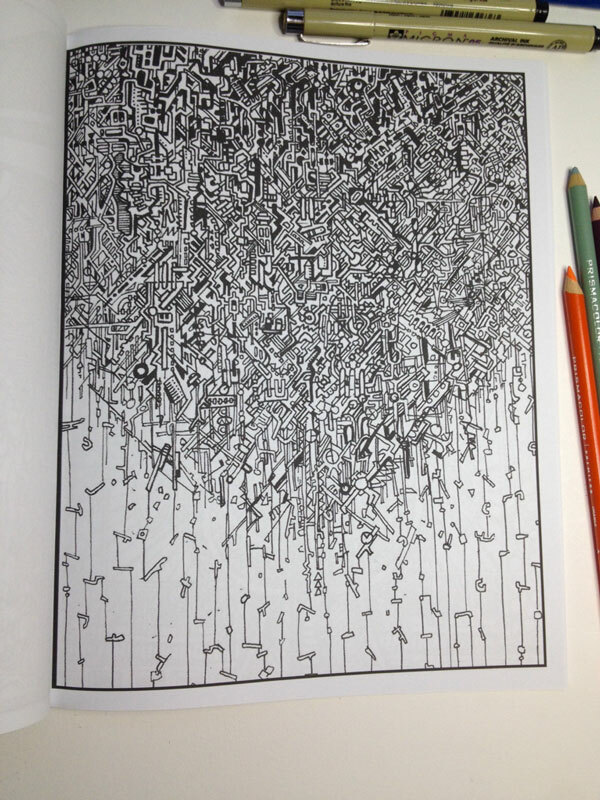 In the featured video, Deligdisch flips through all of his book's contents, and then demonstrates one approach to coloring between the lines. In the second video, he doodles from scratch...on his hand...and makes me wonder how long it will be until he's flooded with requests from girls to tramp stamp them.